$489 Seen a lower price? Protect your investment. 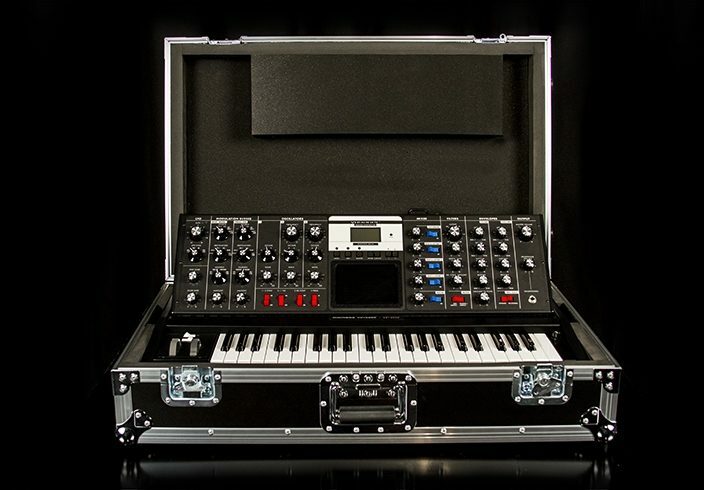 The Minimoog Voyager ATA Road Case is a high quality, custom built case specifically crafted to protect your Minimoog Voyager analog synthesizer. 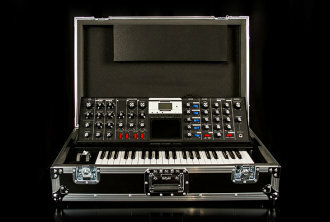 It is built like a tank and designed to withstand the tortures of touring and every day abuse. Includes cable storage area. - 22" x 10" x 31.5"
Available until 11 PM (EST) today. Mention special code 207-SMLB when you call.